If you are not using a written budget (paper, spreadsheet or even an app), you are not alone. According to a 2016 study, only 41% of Americans have a written budget. That means more than 50% of American households are operating without a budget!! 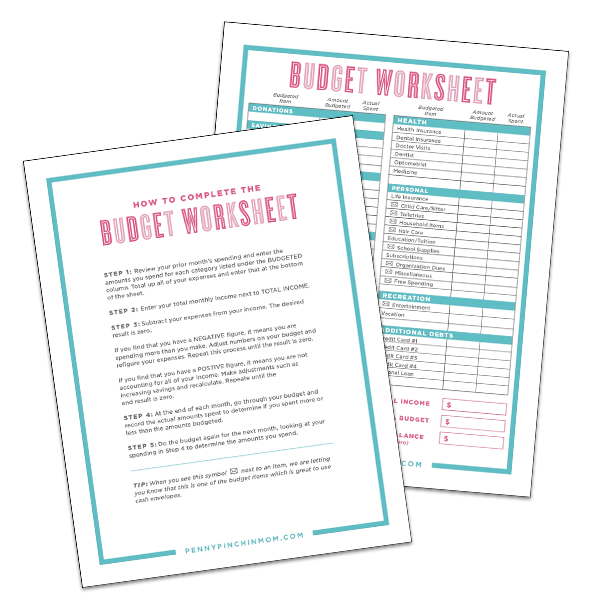 The fix: One of the easiest ways to do this is by creating and reviewing a spending plan.This simple form will help you analyze and track your real life spending over the course of a month. You might want to see that your budget shows $200 for groceries. But, if you are spending $550, your budget will not work. Be honest and make sure your budget truly reflects the way you shop. A budget is not a “one and done” financial goal. A budget is always changing to due to income fluctuations, life events and more. Your budget will need to be frequently checked to make sure it aligns with your needs.